How much does it cost to travel to Malta? How much money will you need in Malta? €167 ($188) is the average daily price for traveling in Malta. The average price of food for one day is €22 ($25). The average price of a hotel for a couple is €97 ($109). Additional pricing is in the table below. These average travel prices have been collected from other travelers to help you plan your own travel budget. Located in the Mediterranean Sea south of Sicily, Malta is a small, island country. The three largest of the islands are inhabited. These include Malta, Gozo and Comino. The country's location in the Mediterranean Sea influences its climate. The winters can be windy and wet, but summers are almost always hot and dry. If you're interested in spending time on the beach it's best to visit the country sometime between the end of April and the end of October when the weather is best. Malta's coastline has many dramatic cliffs and bays that serve as excellent harbors. The inland is low, rocky and flat. Most visitors to the country head to Malta Island. This is, by far, the largest of the three populated islands. It is the main population center and has the largest cities. Comino is the smallest of the three inhabited islands. The majority of this island is a nature reserve, and the isolated feel of the island make it an interesting place to visit. There is one hotel that generally serves international visitors that are on all inclusive package tours. The island's most famous sight is the Blue Lagoon which has beautiful crystal clear water that is great for swimming. Gozo is smaller and less developed than Malta Island. It's only 95 kilometers from Sicily and has a remote and isolated atmosphere. It's a popular travel destination for those who want to experience the culture and beautiful countryside. There are many old churches and historic fortifications that are worth exploring. It's a great place to visit as an excursion from Malta or on it's own for a few days. If you're flying to Malta from mainland Europe, you have a handful of options. The country's national carrier is Air Malta, which has regular connections to Europe, North Africa and the Middle East. Ryanair offers affordable flights from a good number of cities within Europe and Easyjet has a few connections as well. Wizzair is an option if you're coming from Eastern Europe. Many of these flights are seasonal, and do not fly during the fall and winter months, so plan ahead. Another option is to arrive in Malta by boat. Ferries run from the Sicilian port of Pozzallo, Italy. The trip takes about 90 minutes and currently the only company is Virtu Ferries. Trips do not occur daily so check a schedule in advance. Flights are comparable in price to ferries so unless you're traveling with a vehicle (which can be transported on the ferry), flying may be your most convenient option. The official languages of Malta are Maltese and English. Italian is quite common as well and there are some people who speak basic French. Almost all Maltese speak English fluently. Official documents are written in both Maltese and English and some media is broadcast in English. During the summer months there are plenty of outdoor sports and activities for visitors. Hiking in the countryside or along the coast is a favorite activity, as is sailing and visiting the country's impressive caves. There are also some great dive sights with high visibility and interesting marine life. Most of the dives sites are close to shore making them easily accessible. There are a handful of great festivals during the spring and summer months in Malta as well. These include the Valletta Carnival, the Jazz Festival, the Arts Festival and the Farsons Great Beer Festival. Festivals are a great way to experience the country's culture and local cuisine, so if you happen to be in town during one, it is worth a trip. Not sue what to pack? Not sure where to stay? For more information on traveling to this small but amazing country, check out these Malta Insider Tips. Mdina: This ancient capital is strategically located at a high point on the island. This fortress is now surrounded by the town of Rabat and is a must-see for any visitor to the country. It has impressive architecture, history, and a breathtaking view. It's a wonderful place to linger in the evening after the day trippers have left, as the setting becomes quite peaceful and beautiful. 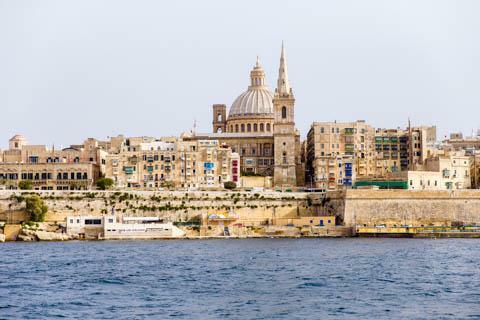 Valletta: This capital city is very vibrant with a rich history. There is excellent shopping, impressive museums, and a good number of cultural sights that are worth visiting. In particular, you should make a point of visiting St John's Co-Cathedral. Gozo:This island's rural atmosphere make it an interesting and pleasant place to visit. There is impressive geography with an inland sea that has been carved out by the Mediterranean. It is also worth visiting the Citadel, which can be compared to Mdina. It takes 25 minutes to reach Gozo from Cirkewwa, Malta's harbor. Many of the restaurants near the resort areas of Malta cater specifically to tourists. It's hard to find an authentically traditional meal, but if you're willing to seek it out, there are several Maltese restaurants available. Traditional Maltese food was created to feed hard working farmers or fishermen. The meals are hearty and involve stews and soups. Many dishes are vegetable or fish based, although rabbit is traditionally prepared for celebrations. Fenkata:This meal is traditionally prepared for celebrations in Malta. It's a feast that includes rabbit that has been marinated overnight in a sauce made of wine and bay leaves. The rabbit is typically served as part of two courses. The first course is a spaghetti served with rabbit sauce. Then the rabbit meat is served as a stew. It's a hearty dish that is often referred to as the national dish of Malta. There are a handful of restaurants that offer guests this meal. Arjoli:This is a mixture of vegetables that have been seasoned with spices and oil. They include butter beans, a puree made from broadbeans and herbs, and a local delicacy such as Maltese sausage of gbejniet, which is a form of goat or sheep milk cheese. Soppa Ta' L-armla: Known as widow's soup, this is a working man's meal. The soup is made of a course mash of seasonal vegetables which are cooked in a thick tomato stock.